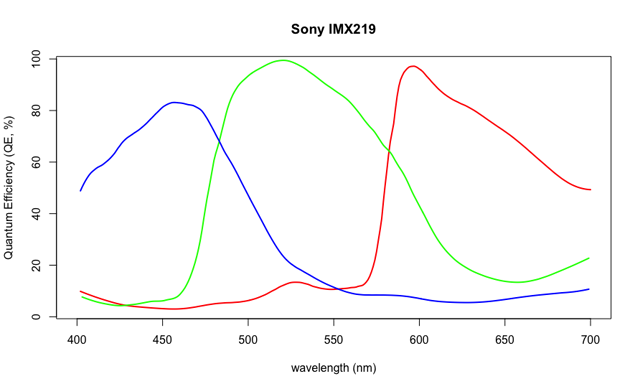 These are the spectral response curves for both raspberry pi cameras. I used sensor spec images to digitize the quantum efficiency of both sensors between 400 and 700 nm. A physical measurement will still be needed to quantify the remaining near infrared spectrum (> 700 nm). Missing or uncertain edge values, at the beginning and end of each curve, were carried forward or backward when missing (2 values at most). 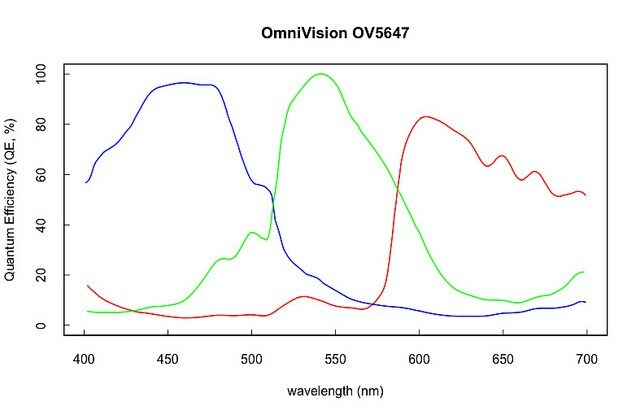 Note that these values are scaled between 0-100%, and true quantum efficiency (QE) will be lower for each sensor.